Welcome Back! Today, we will Gulliver’s Travels. 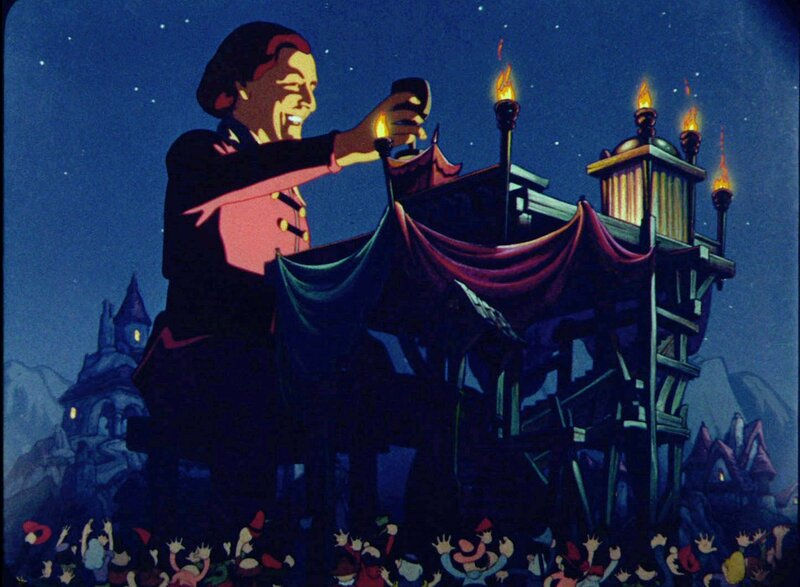 Gulliver’s Travels is a 1939 American cel-animated Technicolor feature film. It was directed by Dave Fleischer (Mr. Bug Goes to Town, Betty Boop, Out of the Inkwell, etc.) and produced by Max Fleischer (Raggedy Ann and Raggedy Andy, Popeye, Animated Antics, etc.) The film was released on December 22, 1939 by Paramount Pictures. The sequences of the film were directed by Seymour Kneitel (Casper the Friendly Ghost, Popeye, Betty Boop, etc. ), Willard Bowsky (Betty Boop, Popeye, Superman), Tom Palmer (Oswald, The Old Mill, Buddy’s Day Out, etc. ), Grim Natwick (Drew Betty Boop, Snow White, Fantasia’s Mickey, Popeye, Felix the cat, etc. 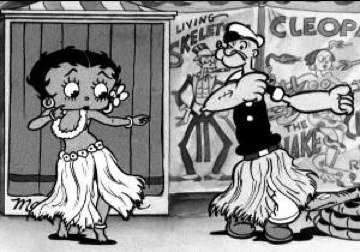 ), William Henning, Roland Crandall (Betty Boop, Koko the Clown), Thomas Johnson, Robert Leffingwell, Frank Kelling, Winfield Hoskins, and Orestes Calpini. 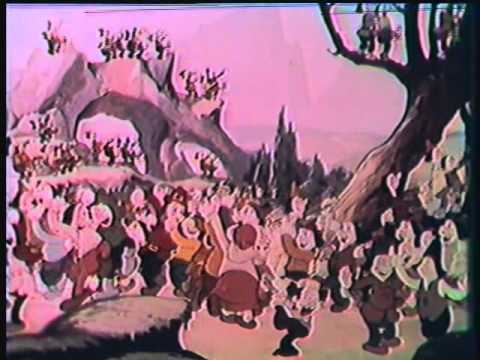 The Fleischer brothers wanted to produce a feature since early 1934 (when they found out about Snow White), but Paramount would not let them. Since, Snow White had much success, Paramount agree. 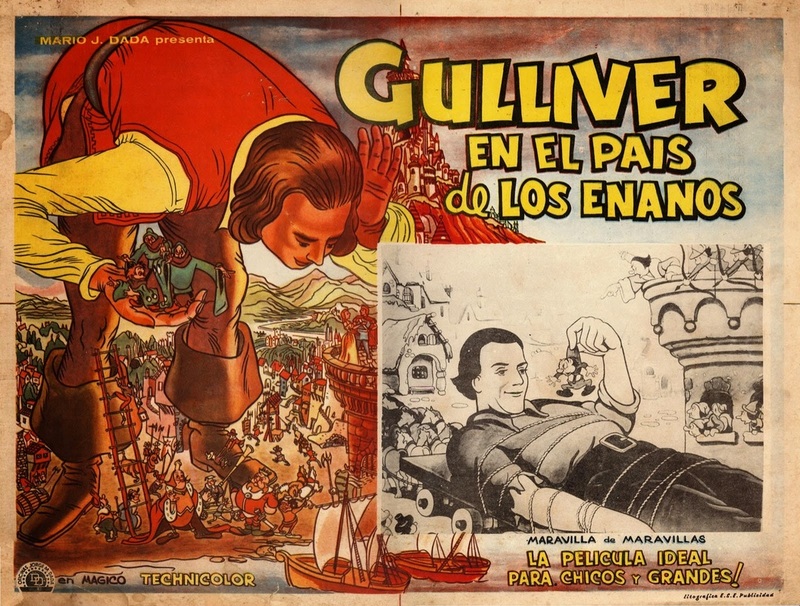 Development on Gulliver’s Travel began in spring of 1938. Paramount wanted the film by Christmas of 1939, meaning the Fleischer brothers had about a year to complete the film. 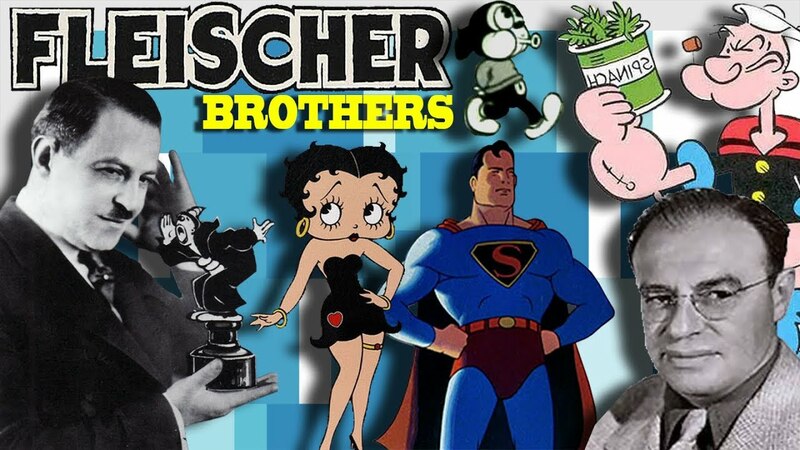 Rotoscoping was originally developed by the Fleischer Studios. It was used throughout Gulliver’s Studios. Sam Parker who was the voice of Gulliver was only the live-action model for Gulliver. 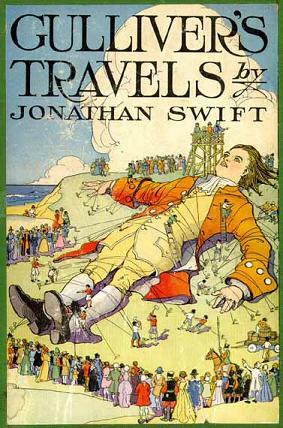 The film is based on the book “Gulliver’s Travels” by Jonathon Swift. It was published October 28, 1726. It is a very popular book. The first American animated feature from a studio other than Disney. Writer Cal Howard served as the live-action model for Prince David. He recalled that he had to have padding on his legs because they were so skinny. 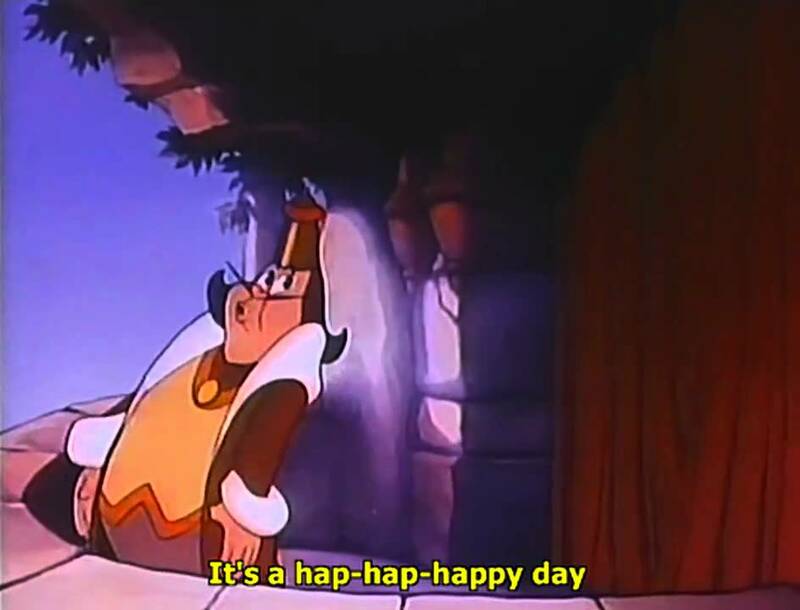 The song “It’s a Hap-Hap-Happy Day” was used extensively in the scores of subsequent cartoons by Famous Studios, Fleischer Studio’s successor. 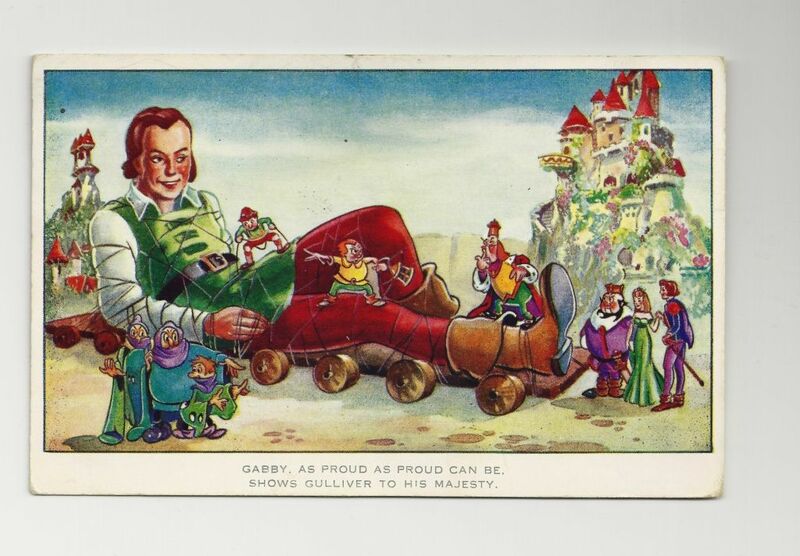 Even though Gulliver’s Travels was a box office success, it never managed to recover its enormous cost, which went nearly $500,000 over budget due to the relocation of the Fleischer studios, transportation of film for processing and the cost of training new artists. Here is the link to watch it on YouTube. The Prince and Princess kiss as two little birds look on lovingly and kiss. The Kings hug as the servants bring in the wedding cake. Gabby tries to run in and tell them about the Giant, but he is pulled away. The Princess sings while the Kings cry, because they’re going to miss their children. The Kings argue about using the Faithful or Forever song. 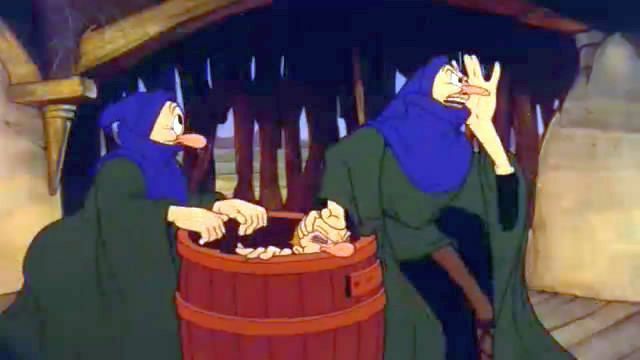 (The Kings remind me of a less-funny version of King Stefan and King Hubert from Sleeping Beauty.) The King of the Prince gets angry and decides he shall rage a war. The other King is upset and does not listen to Gabby as he tries to tell him about the Giant. Gabby rings the bell and warns everyone about the Giant. Everyone panics. They come to find the Giant missing, and everyone makes fun of Gabby. (It’s really sad.) That is until they realize they are on top of the Giant. 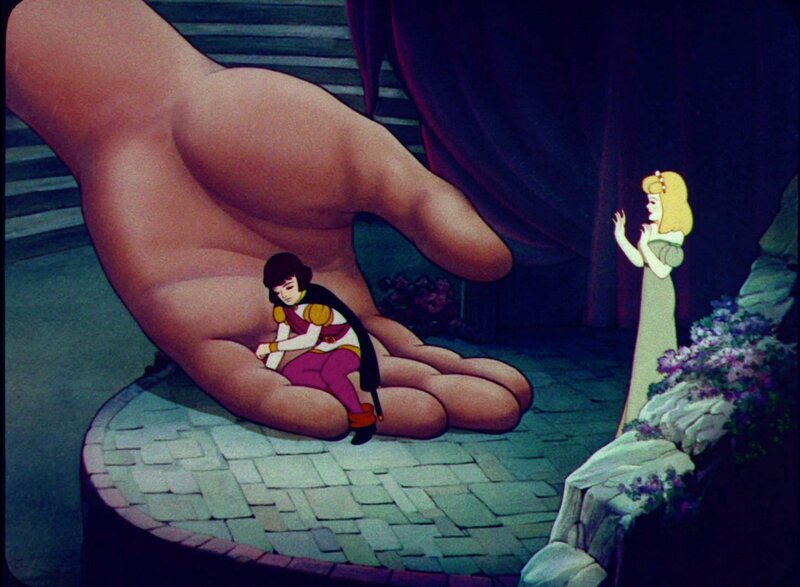 In a scene, similar to Snow White, the little people get traps and walk quietly. They tie him up. The Giant finally wakes up and picks up Gabby who is begging him not to eat him. The Giant puts Gabby back down, and the King tries to shoot at him, but it stopped because the other King shoots at him. The other King sees the Giant and runs away. The other King realizes the Giant is on their side. The little people sing it’s a happy day and work on building the Giant (Gulliver) some clothes, and taking care of him. 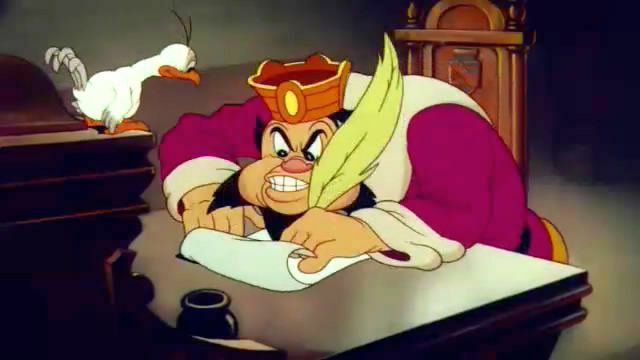 King Bombo (Prince’s Father) sends a letter to his spies to get rid of Gulliver or else. Everyone falls asleep while Gulliver leaves and sings. The Prince visits the Princess, and sings the Forever song. It wakes up Gabby and the Guards, they sword fight until Gulliver grabs the Prince, and then the Princess. Gabby and the guards look for them. The Prince and Princess are reunited. The next morning, King Bombo sends a letter to attack, but Gabby finds it first. He tells everyone and they prepare for battle. The songs aren’t bad. They’re not something I could listen to over and over again, but I could listen to in the movie. They are very reminiscent of their time. 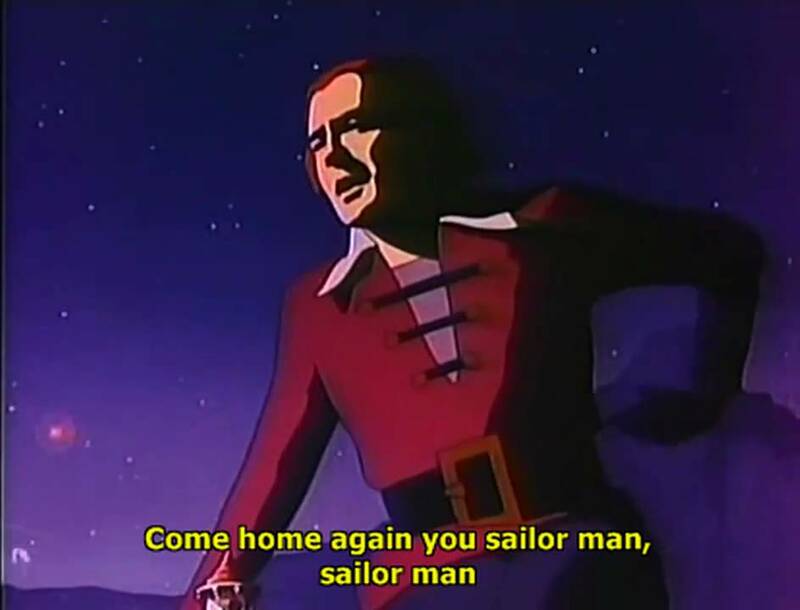 The only character I liked was Gulliver. He wasn’t annoying and he was very rational. The animation isn’t bad, but it isn’t good either. It could be, because they barely had any time to work on it. But, it still was just meh. Also, a lot of the minor characters, even the boys and girls, looked the same. Parts of the plot were pretty dumb. Why would two kings go to war because they disagreed on a song choice? That just seems pretty stupid. Most of the characters were unlikeable. King Bombo and King Little were really stupid and selfish. Gabby was very annoying. The Prince and the Princess were hardly in the movie, and you felt no connection to them whatsoever. The movie is alright. It’s not the worst thing I’ve ever seen, but it’s not that good either. Besides, Gulliver, the other characters aren’t very likeable. The animation is just okay. The plot is pretty dumb. The songs aren’t bad, but they are just okay. It’s basically a mediocre movie. It’s not something I would want to watch again. No offense to those that do like it. I think young children might like the movie, because there are a lot of gags, and I think people that like Looney Tunes (which I like, but I’m not crazy over it) would like this film. Overall, the movie is decent and I rate it a B-. All the other characters aren’t very interesting. So, that only leaves Gulliver. He is calm and wise. He is the peacemaker between everybody. He likes to laugh a lot. There isn’t much else to say about him. My favorite song is All’s Well. It is the song that Gabby sings in the beginning of the movie. The song is actually quite catchy. I do not own pictures, videos, etc. The 1930s are finished and now we start a new decade. The 1940s as most people know were occupied by a terrible war, World War 2. So, there will be a lot of propaganda films and a few hidden gems. 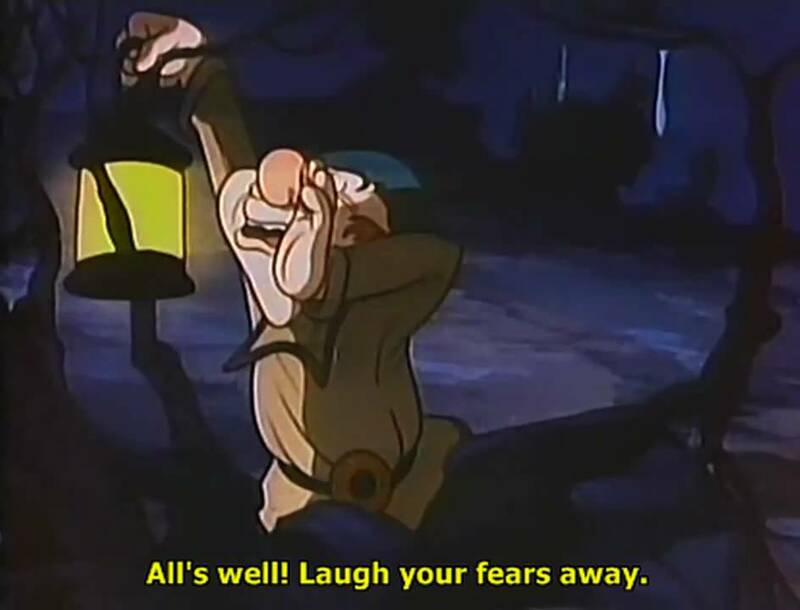 But, up next is Disney’s classic Pinocchio. I hope you enjoyed reading and thank you like always. Till next time! I too quite enjoyed “All’s Well” and sing it often in the character’s voice. I agree with you, this movie wasn’t the worst thing ever, but it’s not something I’d watch again. The biggest problem of this one is the pacing. Did you notice how much time passes between Gulliver being discovered at the beach and them actually going to him? 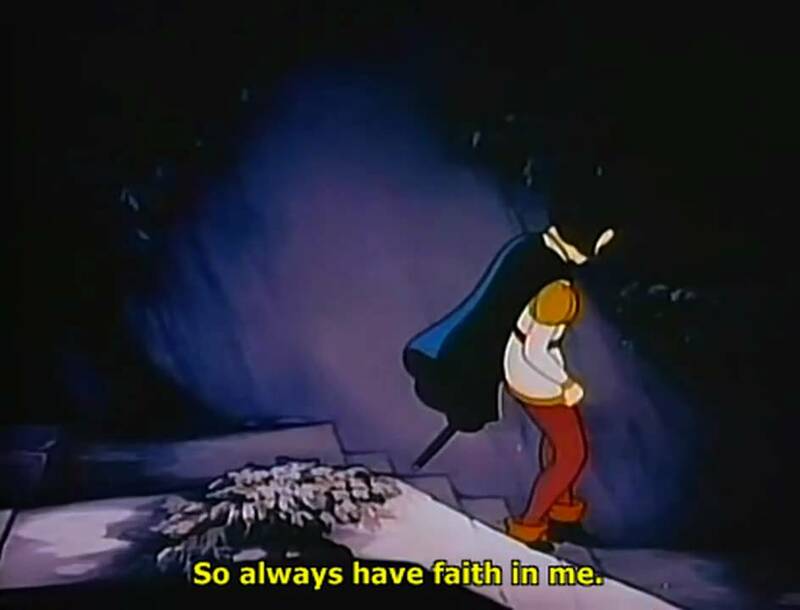 There just isn’t much of a story in this one, most of it is just filler (and yeah, I said the same about Snow White, but there I am talking about one or two scenes which mostly consists of songs, here it is practically the whole movie with a little bit plot thown in inbetween). In it’s defence though: In the book, the conflict between the two kings is about the right way to eat an egg (or was it an apple? Something really stupid). The idea behind it was to show for how idiotic reasons wars are fought. You have to understand that Lilliput is basically a satiric take of the english society back then (for example the king is not really able to communicate with his folk in the book, because the king back then actually hailed from Saxony, and didn’t speak one word english). But like the Russian take, this one doesn’t understand this either and boiled it down to “look, giant guy between small guys”. Ughhh yes lol I didn’t really like this movie. I probably couldn’t recall much that happened, because it wasn’t very memorable and it was pretty boring. I think they do better in cartoons than in movies. Yea, I saw that. The movie was like a giant cartoon. An Egg? lol that’s interesting. Now, that you explained it, it doesn’t sound as bad, but I wish they explained it better in the movie. This was better than The New Gulliver, but not by much. I didn’t really like either film.